08.12.08 Two tournaments will take place in Maine this Saturday, August 16, 2008: The St. Croix River Valley International Chess Classic in Perry and the Downeast Open and RBO in South Portland. Here are the details including registration information. The beautiful tournament room at the Crohn Family Conference Center in Perry, site of the St. Croix River Valley International Chess Classic. 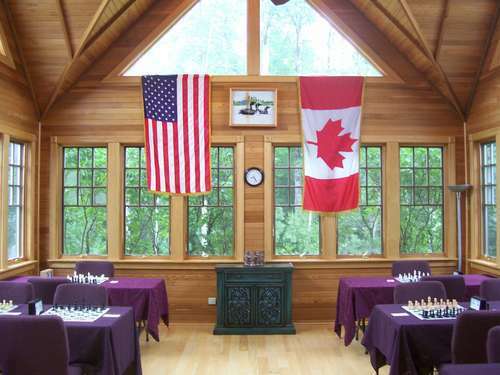 For the St. Croix River Valley International Chess Classic an Under 1000 class prize has been added as well as a reduced entry fee for players age 15 and under. Congratulations to Roger Morin, who, apparently scored 4-0 in this tournament!